Picker control doesn't open up and highlight the user selected item. I have a picker control that contains a couple hundred items. A user can come in, select an item, and the picker will update it's text, selectedIndex, and selectedItem properties properly. I would like the picker to remember what item was selected previously when it is opened again and scroll back to that item. For example, on android I can select item 200 but when I reopen the the picker, the user will have to scroll all the way back down to select 201. A different problem exists on iOS. On iOS, if I swipe to scroll in the picker and close it before it lands on an item, the selected item isn't updated (which is fine), but the next time I open the picker it will be highlighting the item it was closed on previously. I experience the same. 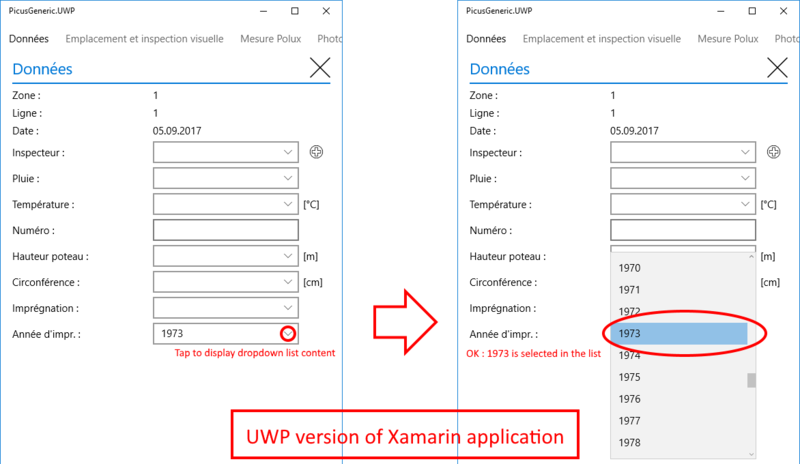 As it works correctly on UWP application, it is not the case on Android. Do you think we have to open a bug report? Doesn't look like any bug report was filed did anyone file one? 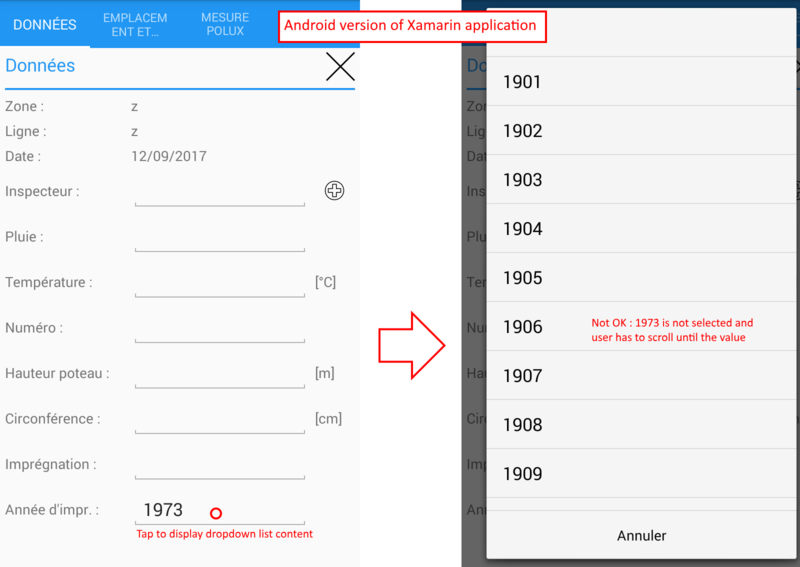 Indeed it is incorrect on Android while correct on UWP.